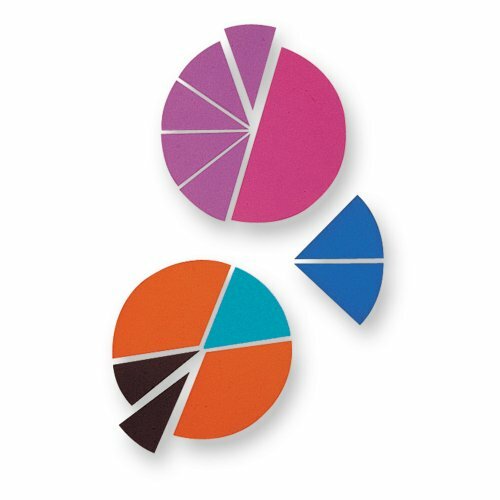 Color-coded sets of plastic fraction pieces. 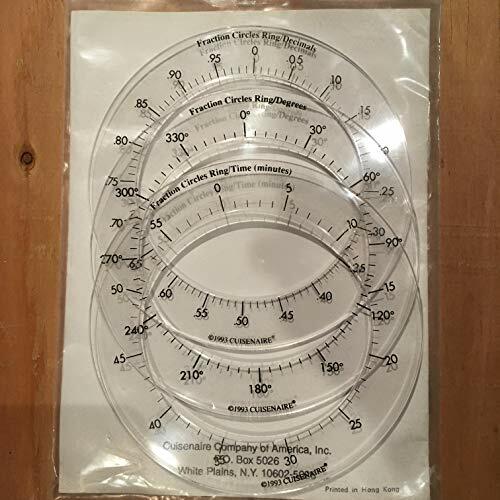 Set of 24 transparent pieces includes: one whole, halves, thirds, fourths, sixths, and eighths. 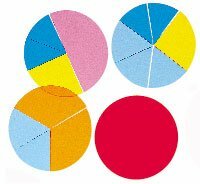 Make abstract fraction concepts totally clear with these colorful, transparent visual aids, designed for use with your overhead projector. 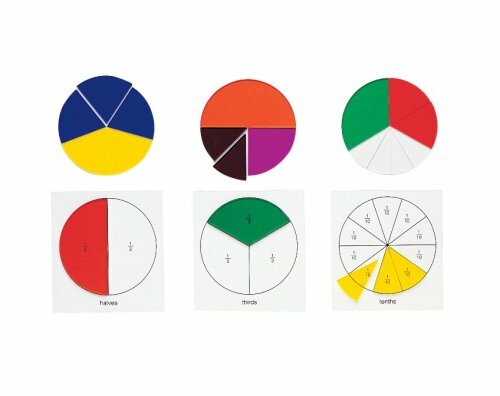 Set features nine different color-coordinated circles representing one whole, halves, thirds, fourths, fifths, sixths, eighths, tenths and twelfths. Color-coded to correspond to all Rainbow Fraction products. 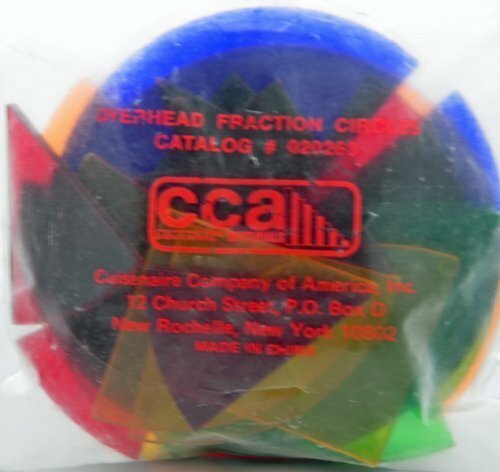 Overhead Deluxe Fraction Circles consists of color-coded plastic fraction pieces in 9 colors. 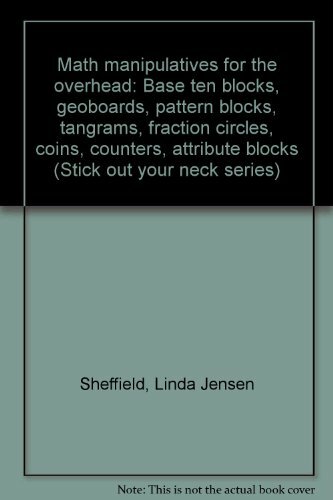 The 51 pieces make up one whole, halves, thirds, fourths, fifths, sixths, eighths, tenths, and twelfths. The whole measures 3.5" in diameter.